Genuine Fender® black strap locks and buttons keep your favorite Fender® guitar safe and secure. 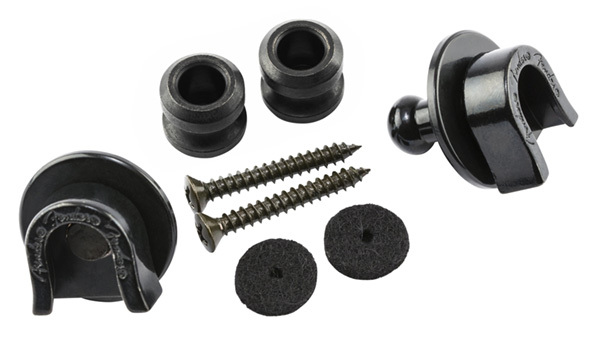 The set includes 2 strap locks, 2 strap buttons, 2 mounting screws and 2 black felt washers. The original design and still the best! A must have for any guitar or bass.